Randy Viray vividly remembers what sparked his love for simple wood furniture. It happened twenty-seven years ago when he caught sight of a Michael Thonet chair in a run-down machine shop in Pampanga. The chair’s fluid lines were in stark contrast to the opulent decorative carving that has made Randy’s hometown, Betis (in Pampanga), famous. “Oftentimes, we choose to complicate matters by adding unnecessary clutter to design, or life in general, that we end up missing out on what is truly essential,” Randy said, explaining his attraction to the piece. 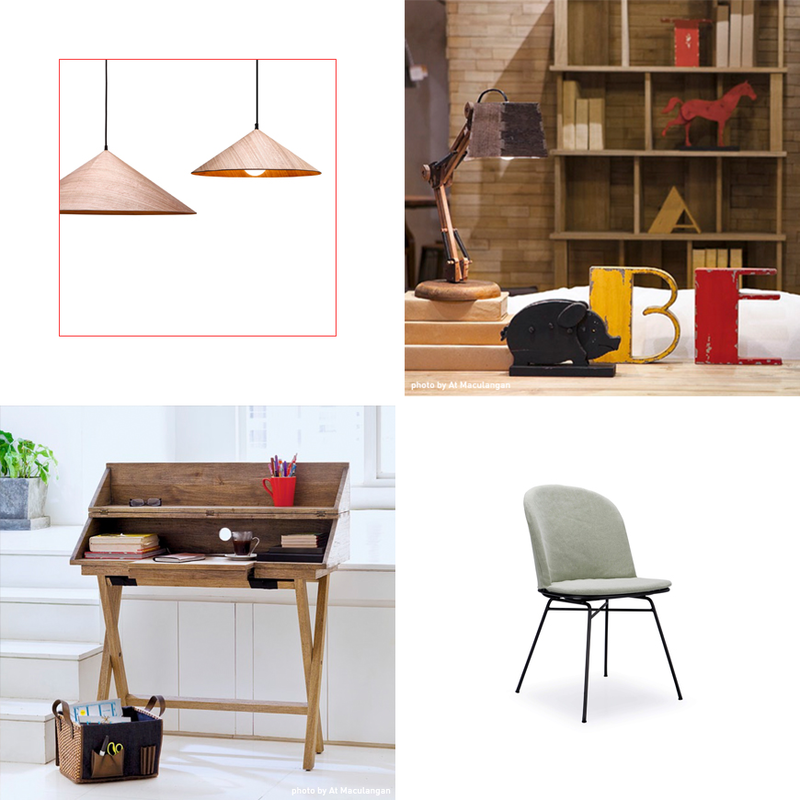 The Peak hanging lamps, from The Family Cave collection ( top left ) and Neeson chair( above right ) from the TriboaStudio series, were introduced at Manila FAME’s 68th edition. The table top accessories ( above right ) and work desk ( above left ) are from earlier collections. Within a year from that fateful encounter, Randy, a third generation furniture-maker, established a workshop under his own company, Vivere Lifestyle Co. Inc., and proceeded to develop his imagination of contemporary style. A blissful mix of tradition and modernity, it proved to be popular among foreign buyers who spotted Randy’s collections at various trade shows. The company also started to gain a strong following among local designers, and homeowners who prefer VIvere’s clean, unobtrusive lines. Though stripped of decorative flourish, Randy’s pieces convey a rustic charm that emanates from his material of choice, wood, and a palette of quiet neutrals - grays, browns, greens. As a result of that opportunity, Triboa Bay Living was established in 2008. Since then, Triboa Bay Living has developed various iterations of its signature aesthetic in order to address the changing landscape. At Manila FAME’s 68th edition, Randy and his team unveiled two new collections: The Family Cave - which highlights the luxurious feel and look of leather - and TriboaStudio, which was created for style-conscious urbanites. Through the years, Triboa Bay Living maintained its hold on a slice of the furniture-buying market by constantly shape-shifting while staying true to its brand. Its longevity also shows us that well made pieces, just like the Thonet chair that captivated Randy, transcends passing fancies. 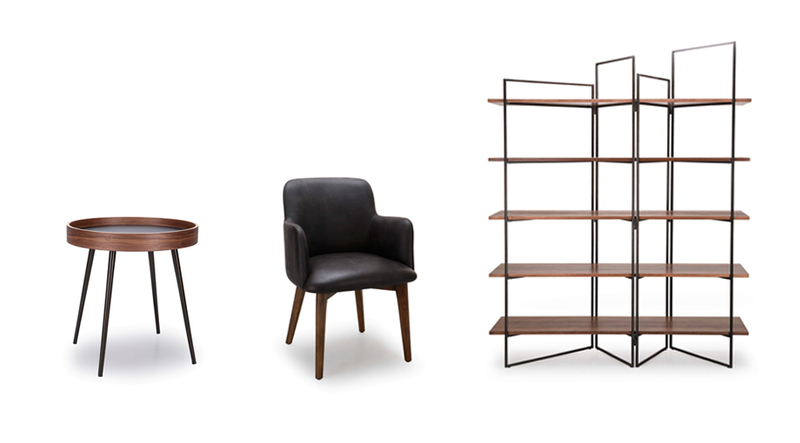 Left to right : The Dorsett side table and leather-upholstered dining chair from the new Family Cave collection; The Certina bookshelf from the TriboaStudio series. Top photo: The Andi Mirrors, made from glass and metal. Inc.